I cannot stress enough on how much memes have changed our lives. I mean, so many reasons to laugh at our fingertips? What else do you want in life? A stressful day- checkout memes. Fought with your SO- check out memes. Not able to concentrate at work- take a mini-meme break... honestly, the benefits of memes are endless. Moreover, there are plenty of them on various social media! It's like having a hilarious boyfriend, someone like Chandler, at your convenience. Okay, if you think I am exaggerating. You must take a look at all the memes that were trending this week, and you'll come to know, how many reasons to laugh did you miss out the whole week. 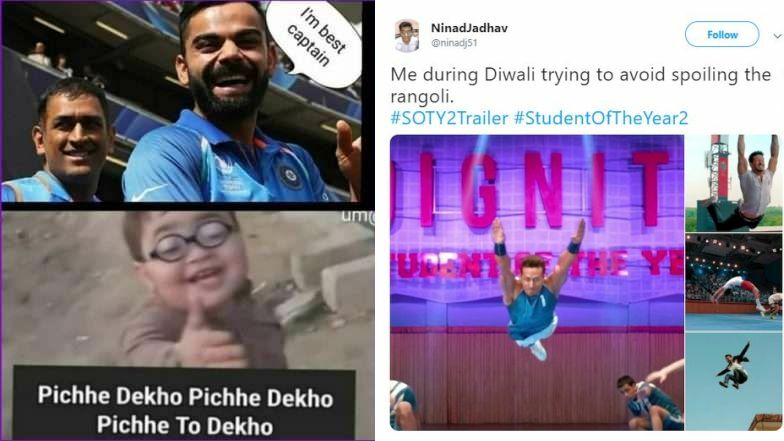 After Funny RCB Memes, ‘Peeche Dekho' Pathani Boy Memes Take Cute Potshots at Virat Kohli! Check Out Some of the Most Hilarious Posts. Am I right or am I right? These memes just make your day in no time. I feel the black hole memes did beat all the other memes, what do you think?